Hoxne was an important parish for the early Christian church in the Late Anglo-Saxon and early medieval periods, by the later Anglo-Saxon period being established as a Bishopric. The parish has a long association with the legend of the martyrdom of St Edmund in 870 AD and the Priory was centred on a Chapel of St Edmund which may have had pre-conquest origins before being restored and rebuilt in the early 12th century. Hoxne Priory itself was founded by a charter in 1130, which gave ownership of the restored Chapel and its land to Norwich Cathedral Priory, with monks taking residence in the early 13th century and rebuilding and enlargement continuing into the 15th century. Details of the priory buildings and precinct in the 14th and 15th centuries are recorded as including the chapel, a hall, a parlour, a dormitory and offices including a kitchen, bakehouse, dairy and brewery. In the surrounding precinct were a malthouse, dovecote and stables, closes for threshing and winnowing, fishponds, cistern and 'St Edmund's Well’, cemetery and gardens. Abbey Farm is now a Scheduled Monument and Grade II* Listed Building. 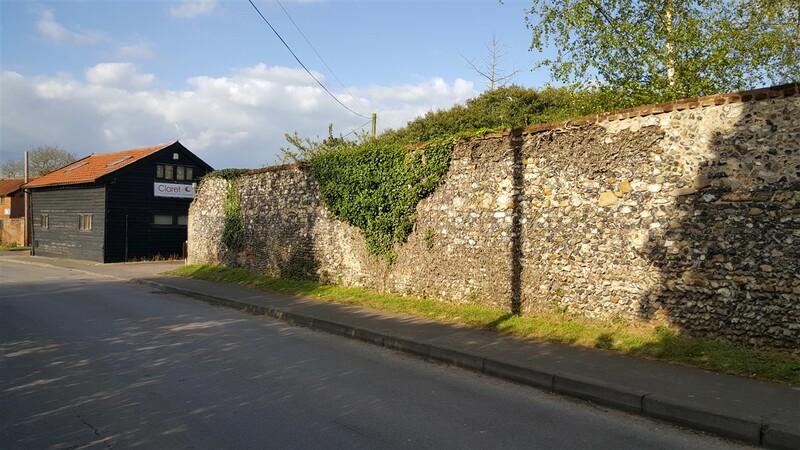 Of the Priory the only structure that still visibly survives is a length of flint wall incorporated into the Grade II listed curtilage wall on the road frontage (see photo below). This is believed to be the surviving western wall of a building depicted on a pictorial map of 1757 that was demolished by the mid-19th century (see above). Although the general size of the Priory precinct is known and there is substantial survival of a variety of ponds and fishponds which partly delineate the interior of the precinct, including a small square moat with island (likely the site of a dovecote) at the neighbouring Moatfield, the actual location of the monastic complex, let alone specific buildings, was unknown. 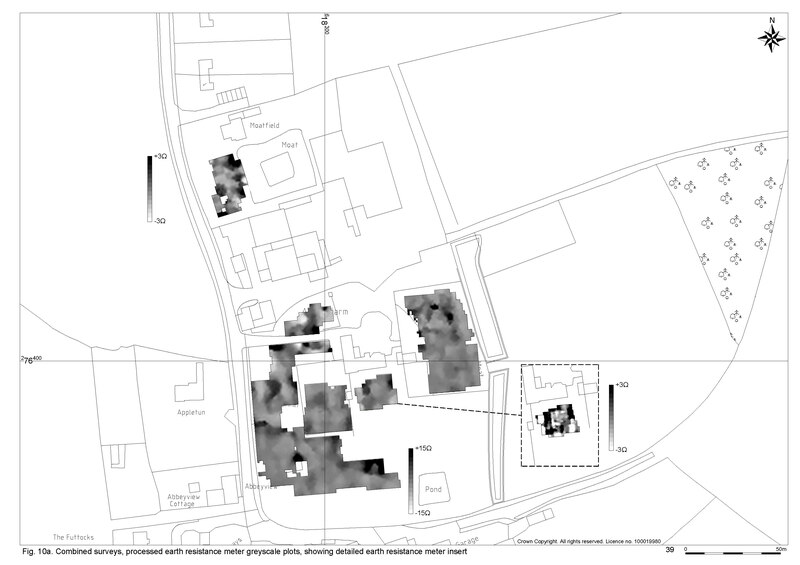 There was even still a general question as to whether the buildings were sited under the post-medieval farmhouse, which dates to the late 16th century/post-Dissolution period, or the adjacent post-medieval/modern farm complex. 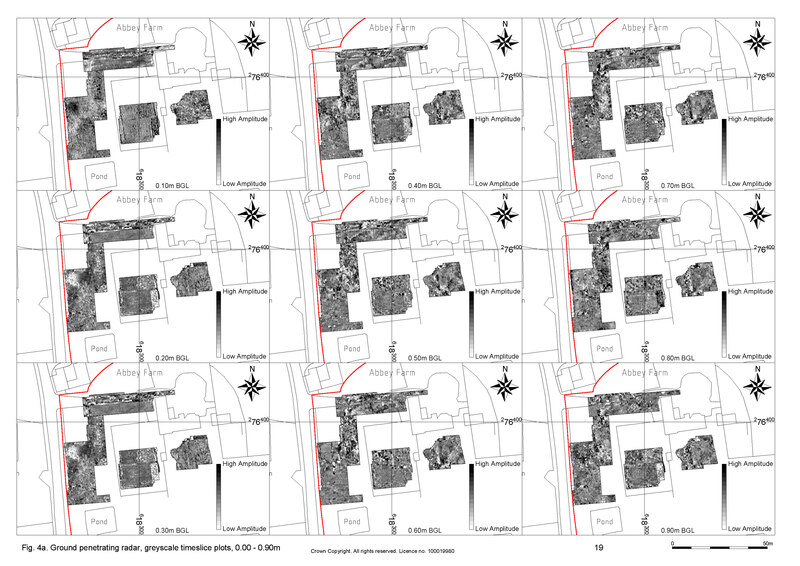 The opportunity and funding provided by Mr White to carry out the geophysical surveys was therefore an important chance to examine the site in the hope of locating the monastic complex and to potentially suggest further avenues of investigation. 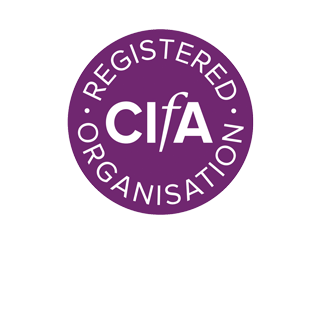 Suffolk Archaeology was also pleased to be able to support the project, by providing a subsidised professional service, as part of our remit to support public investigation and appreciation of our heritage. 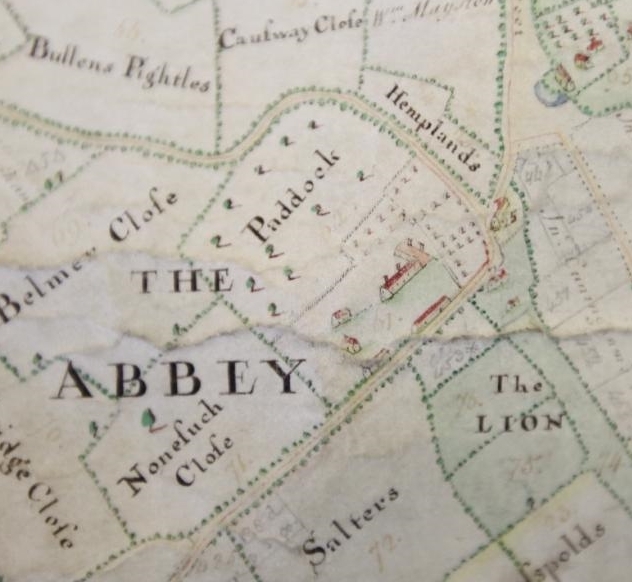 The first project in March consisted of a reconnaissance earth resistance meter survey within available areas of the gardens of Abbey Farm and the neighbouring Moatfield. This was followed by a single area of detailed survey at Abbey Farm. The site conditions were found to be challenging with garden furniture, trees and borders causing obstructions within the survey area. Despite these difficulties the earth resistance meter surveys recorded high and low resistance data indicative of a variety of potential archaeological anomalies likely to be caused by building structures potentially associated with the Benedictine Priory or a former wing of the post-medieval farmhouse. Of particular note was the identification of three possible sites of structures, straddling the driveway to the northwest of the farmhouse, in the lawn immediately to the south and in the southern part of the gardens between the two extant ponds. Against the western boundary the survey appears to have located the southern and eastern walls of the former medieval structure now incorporated into the curtilage wall, and may have also identified a boundary ditch or former part of a moated enclosure. 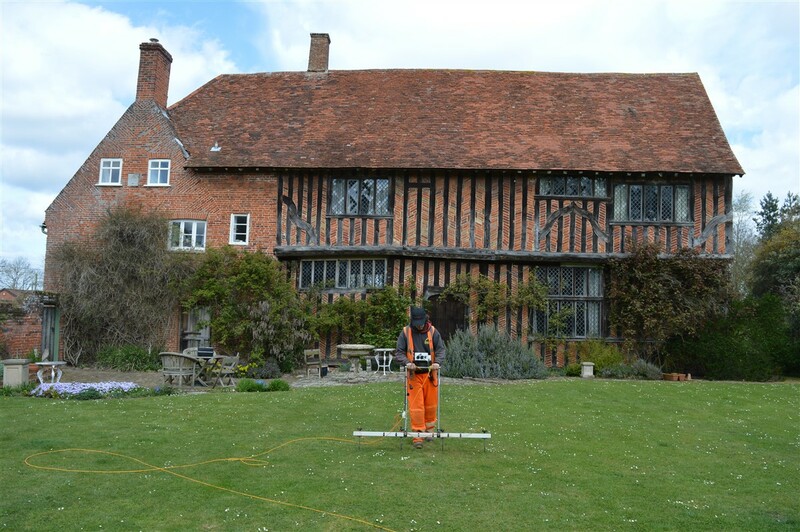 The second project consisted of a Ground Penetrating Radar survey, covering those areas to north, west and south of the farmhouse which had given positive results during the earth resistance meter survey, and to infill gaps in the data by including the driveway. The survey was successful in recording anomalies of a structural derivation in greater detail than previously prospected by the earth resistance meter, despite difficulties caused by the modern layout, with anomalies indicative of walls and rubble spreads. The extent of the medieval building to the west has been confirmed, with a southern wall closely corresponding to the southern limit of the extant medieval flintwork in the curtilage wall. In the walled garden further walls on a similar orientation may also be associated with medieval structures. Structural remains recorded to the north are of an uncertain date, being on a separate orientation to both the known medieval building and the extant farmhouse. To the south of the farmhouse are a series of anomalies that could be associated with the Priory or former parts of the post-medieval Abbey Farm. The main achievement of the two projects has been to demonstrate that substantial archaeological evidence for structures, likely dating to the medieval and post-medieval periods, appears to survive below the ground surface of the Scheduled Monument, and to suggest possible areas for further archaeological investigation at a later date.